The Hounds have picked up a scent and this time it might bring them face-to-face with the Pale Queen. Previously, I have reviewed Marcin Wrona’s novel The Whitechapel Gambit, a steam/clockpunk offering with an imaginative setting (check my review here). With Pale Queen’s Courtyard, the author has again created a rich and imaginative world in which to set a fantasy tale of intrigue, magic and adventure. The world is based on ancient Mesopotamia. Impressive cities, multiple cultures and gods, the conflict between politics and religion and a string of different conquerors shaping and reshaping civilisation create the backdrop for this story. The action takes place in Ekka, one of the conquered empires and one in which the people have bargained with their aggressors to outlaw one of the religions – that of the Pale Queen, goddess of magic and dark arts. There are elements of this world-building that sometimes make it difficult for the reader to understand immediately what the narrator or character is referring to. Unfamiliar references to passages of time, the moon and the sun, for example, were initially confusing. However, the author resists the temptation to give the reader an essay on what he has created. Instead, comprehension grows as the story progresses. When Leonine, the minstrel and thief, has to use his powers to steal an artefact for his employer, he knows he is risking discovery from the notorious Merezadesh Hounds. Thus starts a chase that takes the reader across the kingdom of Ekka, a pursuit that leads the religious zealots of Merezad from chasing a simple thief to hunting a young girl of dangerous power. As Leonine becomes the reluctant protector of the girl, he discovers that the Merezadesh Hunt is not the only party interested in her. His employer commissions his services to find her for an unknown purpose and the thief finds himself in the middle of a game he doesn’t understand – fleeing the Hunt that wishes to sacrifice his companion, Illasin, to their god and manoeuvring around his shady colleagues. I was taken with the storyline. It had an abundance of cruelty and violence, hypocrisy, deceit and scheming, politics and religion and, of course, magic and the supernatural. I particularly liked how Leonine’s power manifested itself through song; it added a flair to the scenes in which it was invoked. Additionally, I liked that the Merezad oppressors persecuted those of power while secretly using that power for its own purposes. My only real issue was that the ending seemed a little hurried. 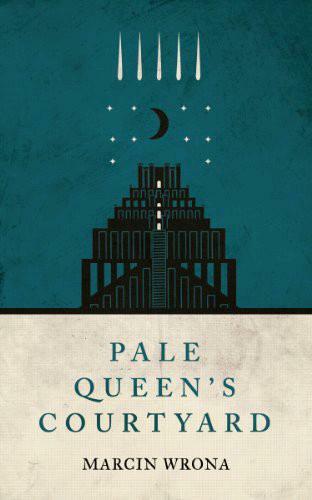 I would have liked to see the plot surrounding the titled Pale Queen to have been extended or at least, not dealt with so decisively. Leonine, the thief, is not the only major character in this novel and the story is told from three different points of view. Leonine knows his power marks him for death, and it already caused the execution of his family in his prior life as a minstrel. His past makes him mercenary, secretive and untrusting. However, over the course of the novel the reader sees the gradual erosion of his callous façade after the introduction of Illasin into his protection. Over the course of the novel he opens up about his past and starts to come to terms with what he has been responsible for. Kamvar is a different case study as one of the devout members of the Hunt from Mezerad. His is a life of service and honour. Over the course of the novel the reader witnesses the pressure applied to his once firm faith in the harsh light of reality. And lastly, Illasin, a young girl with burgeoning power, has been cast out by her father, the High Priest and is attempting to find a life for herself. Of the three characters, I liked Illasin’s portrayal the least as she often demonstrated a much higher level of sophistication for a ten year old than I thought was plausible. Whereas Kamvar was my favourite narrator as I like watching zealotry crumble in the face of common sense and a desire for true justice. The prose is satisfying and although I had a problem with the voice used for Illasin, there was little else I could complain about. The story was not riddled with word misuse or typos; it flowed well and was often quite poetic. I have no doubt that this novel is of a publishable standard. The author has written a trio of books set in the same world and they are all vaguely interconnected but standalone works. As the setting itself has particularly impressed me, this is good news and I will slot the other two novels in my reading list. After my second stint with this author, I can happily recommend him to fantasy lovers. This entry was posted in 4, Fantasy, Novel, Reviews and tagged Dark Fantasy, Fantasy, Series. Bookmark the permalink.